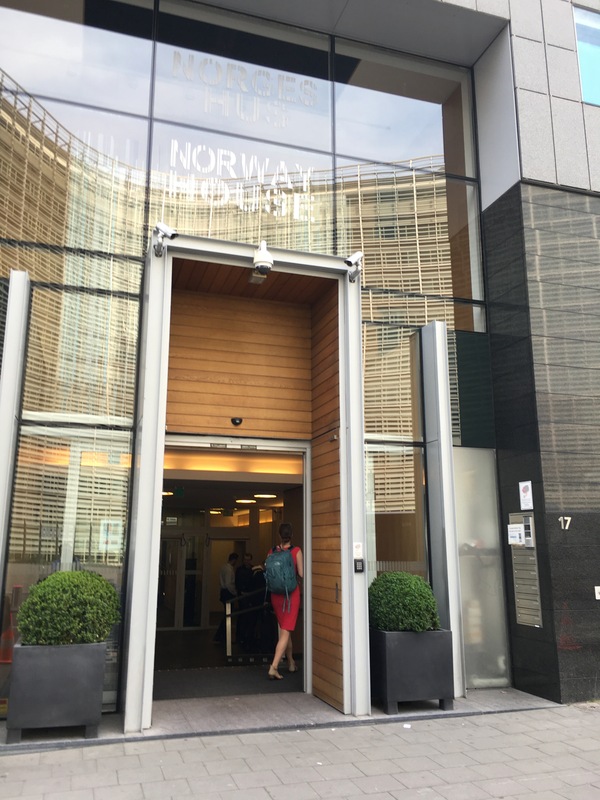 A workshop “Enhancing Long-Term Competitiveness of the Forest Sector in a Green Economy” was held by Forest Europe in cooperation with the Norwegian Ministry of Agriculture and Food, EUSTAFOR and USSE, on 29 May 2018, in Brussels. 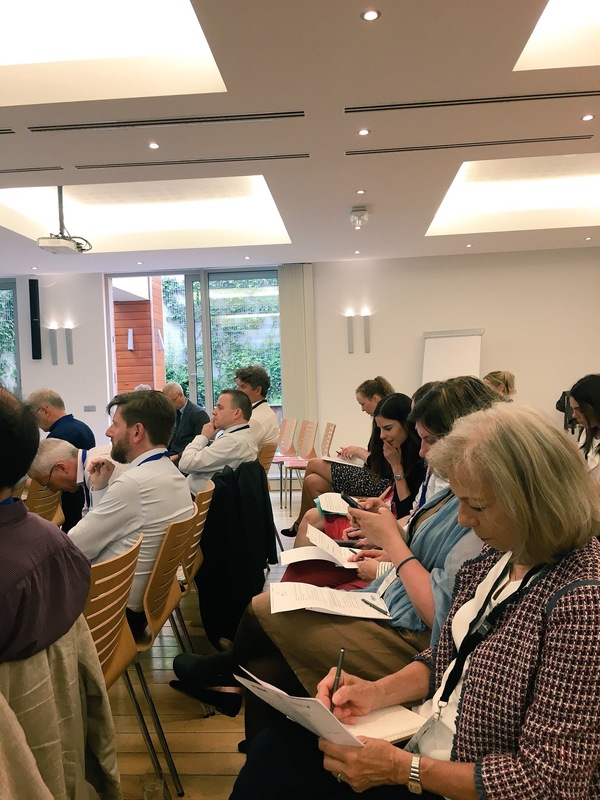 The workshop, held in the framework of the Forest EUROPE Work Programme, focused on the development of the forest-based bioeconomy and how the forest-related policies can enhance it. 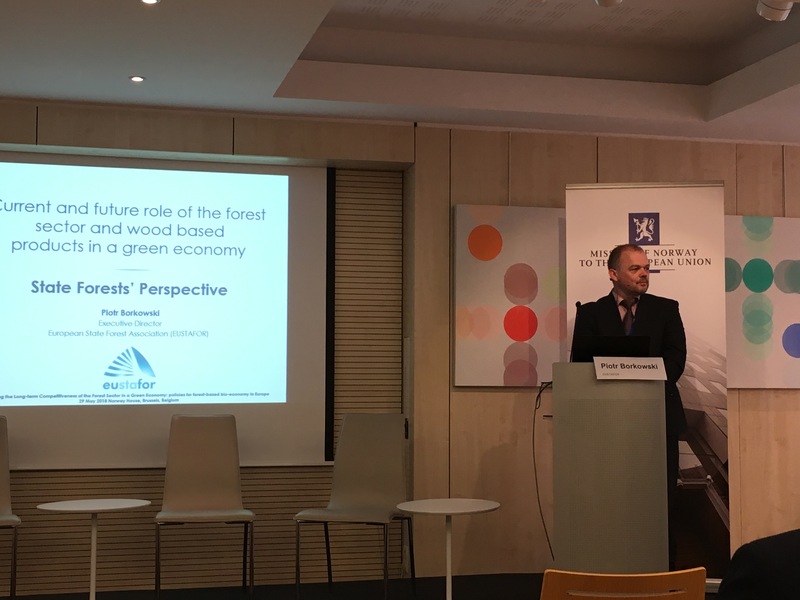 Piotr Borkowski presented EUSTAFOR and its main activities and the work of the association vis-à-vis the European policy debates on the role of forests in the bio- and circular economy discussions (download EUSTAFOR presentation). 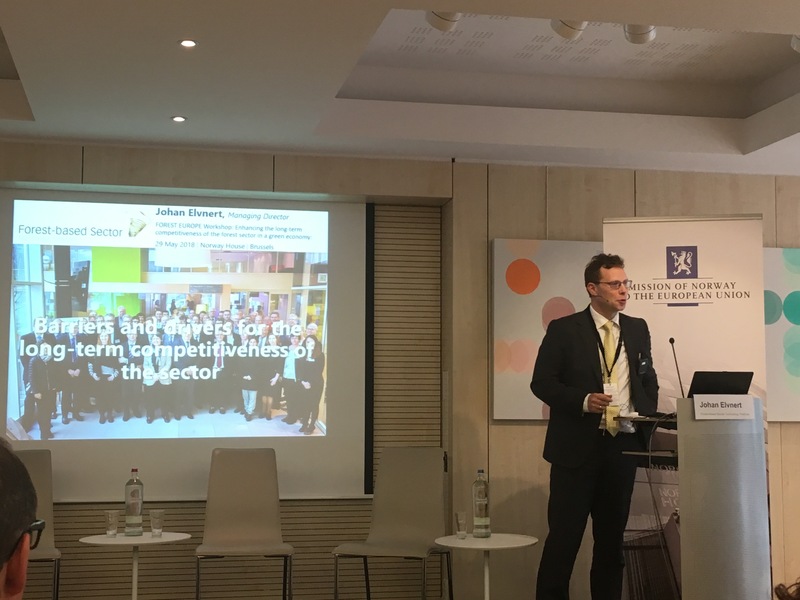 Barriers and drivers for the long-term competitiveness of the forest sector in bioeconomy value chains and effective policy measures. 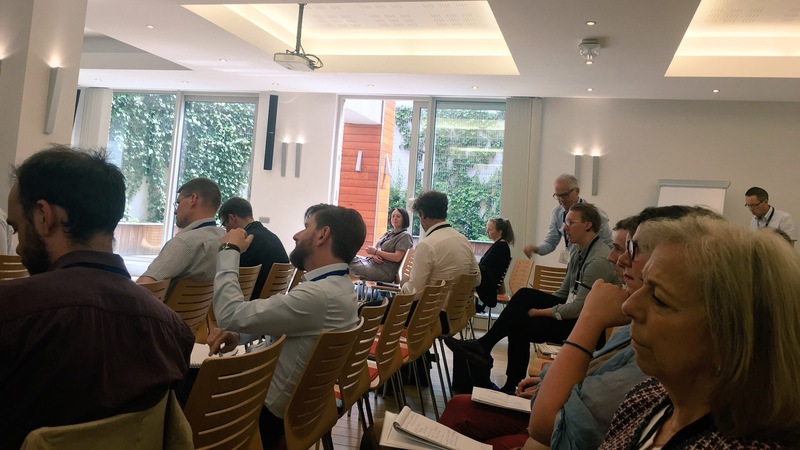 During the first session, moderated by Gunnar Olofsson, Chairman of the Board of Statskog (EUSTAFOR’s member from Norway), attendees were introduced to global and European policy trends related to forestry and the forest sector. Emphasis was put on ensuring society’s well-being, achieving economic growth through the smart and efficient use of resources, and reducing the impact on the environment. Forestry is an important tool for climate mitigation: 13% of all emitted CO2 gasses, the equivalent of 569 million tons of CO2 per year, are absorbed by EU forests. 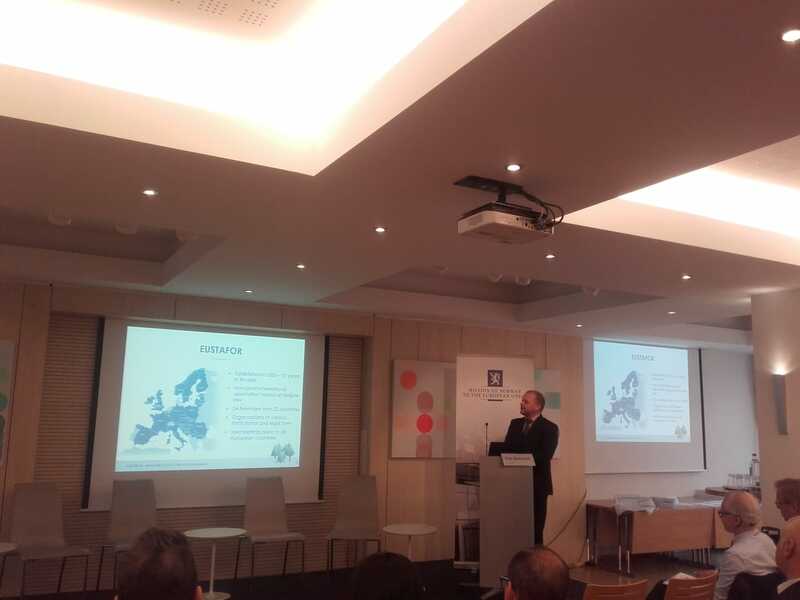 During the first panel discussion, EUSTAFOR presented state forests’ contribution to the bioeconomy. 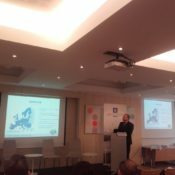 In fact, State Forest Management Organizations of EUSTAFOR provide the forest industry with approximately 130 Mm3 of timber annually and they are essential actors for a sustainable bioeconomy development because of their scale, expertise in Sustainable Forest Management, possibility to ensure stability of the supply. 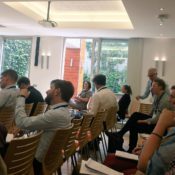 USSE, who represents forestry organizations in southern Europe, stated that the use of forest biomass must be economically viable and supply chains shortened in order to be more competitive. Industry representatives pointed out the need for efficient sawn wood production. 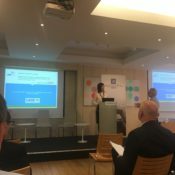 If production fails in the sawmills, the resources for the entire bioeconomy sector are reduced. 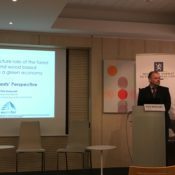 There is a potential for increased demand for resources from the downstream forest value chain, while only around 65% of the European forest increment is harvested annually, and more timber will be available in the future, therefore According to Piotr Borkowski (EUSTAFOR Exectuive Director), “it is too early to worry that we could run out of wood”, but now is the time to take into consideration the efficient use of available raw materials in order to prevent wasting precious wood resources in the future. 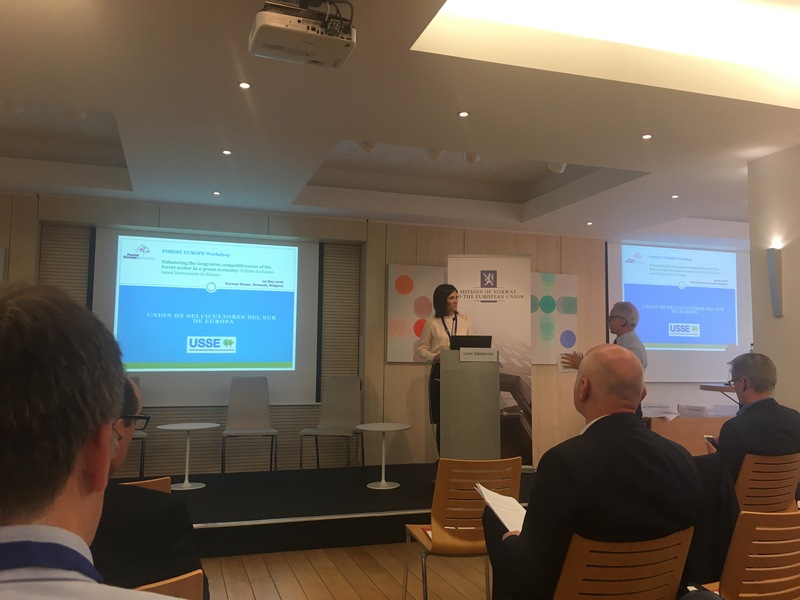 Useful secondary materials from residues provide the link between the bioeconomy and the circular economy. Sawdust, sideboards and logging residues can become useful raw materials for other industries delivering forest-based products to the market. The second panel discussion, which dealt with policies and governance issues, gave good insights on how policies and effective governance can enhance the forest-based economy, as well as the diversity among Member States to approach to that. The term “competitiveness” was part of the last panel’s discussion. The main message was that in order for a product to be competitive, it must be considered way better than other products on the market. 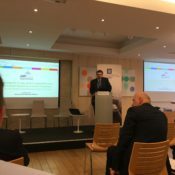 And fortunately, society has a favorable view of the bioeconomy, perceiving it to be environmentally friendly, clean and producing ‘green’ products. 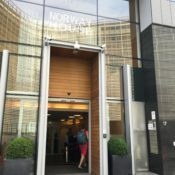 Niklas Gilmark, Business Director of Alvar, emphasized that this positive image must be used to make wood and forest-based products more competitive. 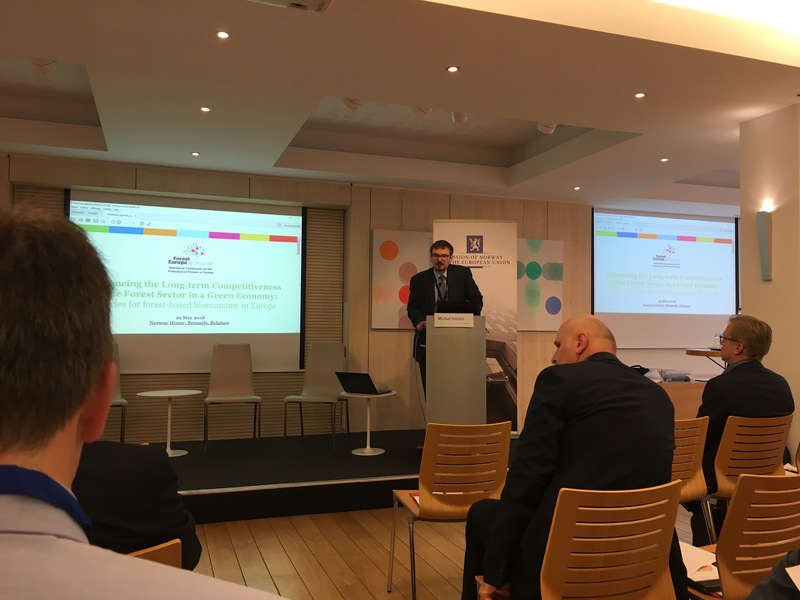 The bioeconomy must be implemented at all levels, starting with the operational level (lumberjacks, operators, forest holders, sawmills) all the way through to the individual citizen who becomes part of the bioeconomy when choosing renewable materials over non-renewable ones. 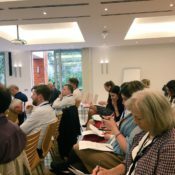 How the climate policy (LULUCF Regulation) can influence the forest sector was mentioned but not thoroughly discussed. And the open question about how and if the LULUCF Regulation can limit the forest sector remains. 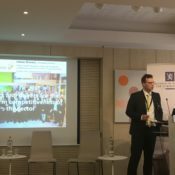 It was concluded that there is tremendous synergy between the bio- and circular economies, but society’s understanding about forestry is lacking and this is counted as one of the barriers for the long-term competitiveness of the forest sector in the bioeconomy. For example, Basics concepts as forests’ life cycles are not well understood and/or not properly explained. Presentations and other materials can be found at Forest Europe event page.